Well, on Friday, February 8th the Vancouver Warriors (3-6) came into the Pechanga Arena San Diego and made the San Diego Seals (4-3) wish it would’ve rained to postpone the game. The Warriors muscled their way to a 14-6 victory to close to within two games of the Western Conference lead. The Seals started the game hot. Like a franchise record for fastest goal to start the game hot. Just nine seconds into the game, before most of the crowd of 8,706 even got into their seats, Cameron Holding tickled the twine for a 1-0 lead. At the 6:31 of the first quarter, “Wonder Boy” Austin Staats was called for elbowing. But rather than getting a power play, Vancouver was still even due to them getting a two-minute penalty for embellishment. Three minutes later Vancouver got on the board with a James Rahe goal (his only one of the night) to cut the Seals lead in half. Jules Heningburg with just over two minutes left in the opening quarter scored his first career goal in his first pro quarter. However, nearly two minutes into the second quarter, as he was rushing in towards the goal, he was whistled for a major goalie interference and also a game misconduct. That opened the flood gates and the Seals could never close the hole again. Vancouver then went on a five-goal scoring barrage. 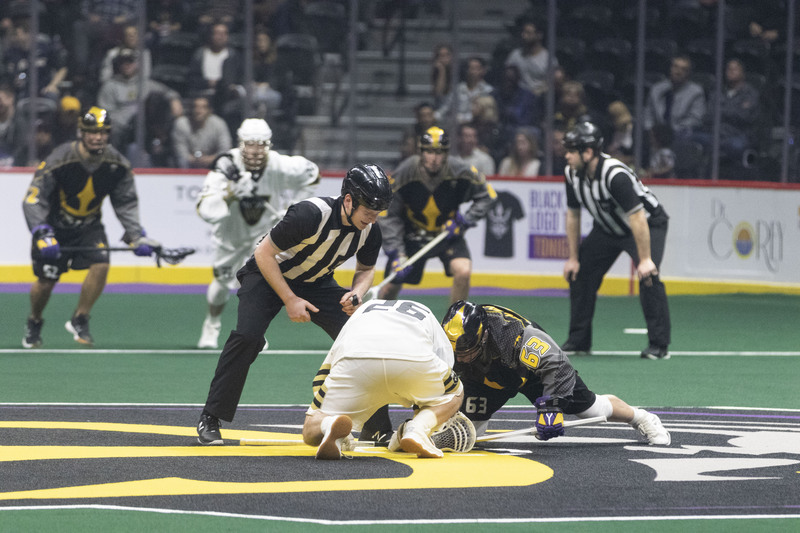 With just over six minutes elapsed in the second quarter, during the Warrior scoring blitz, a San Diego goal was wiped off the board when a holding the stick minor was called on Wonder Boy. The Seals finally broke out of their scoring drought that lasted over 15 minutes with a Garrett Billings power play tally to bring SD within three. San Diego would score again on the other side of halftime 5:40 into the third. There was only one problem with that, the next home goal wouldn’t come until there was about three minutes left in the game. In the meantime, Vancouver would score seven straight to make the final goal by Staats, kinda mute. 1st Quarter Recap: Shots: VAN — 9, SD — 17. 2nd Quarter Recap: Shots: VAN — (16/25), SD — (14/31). 3rd Quarter Recap: Shorts: VAN — (15/40), SD — (10/41). 4th Quarter Recap: Shorts: VAN — (24/64), SD — (5/46). Power Play: VAN — 5-9, SD 1-3.